Condo Blues: 18 Awesome Playhouses You Have to See to Believe! I could live in what Houzz calls the Most Incredible Kids' Tree House You'll Ever See. It a 100-square-foot air-conditioned, electrically lit space with 2 exterior decks, 2 sleeping lofts, and a crow’s nest. Like many of the playhouses in this reound up they built and decorated it with salvage and consignment store finds. The playhouse has salvaged stained glass windows too! Turn your backyard into The Shire with Cool Things Hobbit Hole Playhouse! Ecologically minded kids (and adults) can appreciate the Naturally Cool Cob Playhouse with a living roof that keeps its occupants cool in Central California. The cob play house took a a whopping $30 to build. 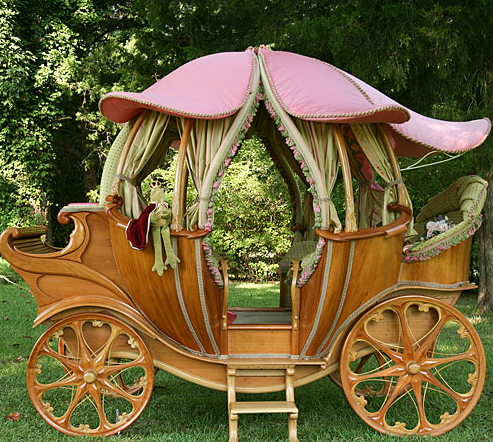 Woodcraft Carpentry's sweet playhouse looks like it stepped out of a fairytale village. It has hand cut windows, cedar siding, and cedar shingles. The detailed sunflower design is carved into the front door by hand. I like the shape of the windows! A loving Dad give his daughters a little piece of Disney in their back yard. He he built them a Jungle Cruise Playhouse based on the Disney ride! If you really want to go all out, you can have Lilliput Play Homes build you a custom mansion playhouse with internal staircases and balconies on the second floor. I bet this playhouse costs more than my condo. For those children who demand quality craftsmanship in their playhouse mansions, Dutch Crafters builds a Amish Handcrafted Grand Portico Mansion Playhouse with 22 working windows with safety glass and screens. If you want to DIY it, they will sell you the plans. Fyne’s Designs hates to see things go to waste. Me too! She and husband started saving the leftover bits from building their family’s home and turned them into an awesome playhouse with a sleeping loft in fun colors for her children. It has a turquoise interior. Love! Do you believe Bella Cupcakes and her husband built this sweet yellow and teal playhouse with an asymmetrical roof in two days while their daughter was spending the weekend with her grandmother? What a fun gift to come home to! Playhouses aren’t just for girls. Cutest Little Things built a little boy’s playhouse for their son with its own garage! This one is all about the details. It only looks expensive. They built it from reclaimed, salvage, Craigslist, and eBay finds. Who says a playhouse has to be a houser? Not to worry, you can buy a retro fun Duffy’s Diner from Lilliput Play Homes for the low, low price of $7899.00! I’m fond of all things pirate given my renaissance festival past. Pirate Ship Playhouse with a working ships wheel, climbing wall, gang plank, emergency curly slide exit and a swing set! Yo ho! Snacks off the port bow Captain! …the coolest castle tree house made from repurposed wood ! This castle is fully insulated to keep it cool during the hot summer (smart!) It also has a climbing wall, turret, and slide. It plays the audio of Apollo 11’s countdown sequence upon takeoff. This dad thought of everything. The RULUV has LED control panels with working switches and knobs for takeoffs and landings. There are three "thrusters" underneath the command module that shoot plumes of water and compressed air and a paint shaker underneath the capsule creates the vibration of the rocket engines taking off with sound effects, of course. Girl in Air turned a wood swing set into a fire station playhouse. Such a clever swing set upcycle! Sawdust 2 Stitches brought hers inside. She and her husband turned a closet into an Under the Stairs Playhouse/Fire Station. The fire station has two stories, a dress up area with fireman’s gear, a hose to put out pretend fires, and a fireman’s pole! Did you or do your kids have a playhouse? Which playhouse is your favorite?